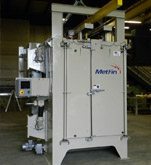 The MetFin line is designed as a full series of shot blast and shot peening equipment. 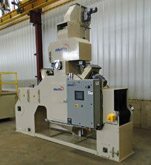 Within each series you will find a spectrum of machines with sizes and configurations to meet each customer's unique production requirements. 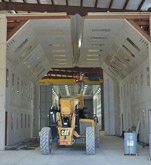 For finishing parts that can be batched and tumbled. 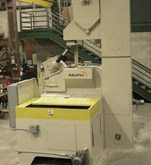 For cleaning large parts that can't be tumbled or need to be fixtured. Handle a variety of intricate shapes or components suspended from a rotating work hook or fixture. 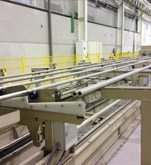 For cleaning of structural shapes, plates and manufactured components by passing through the blast chamber on roll conveyors, monorails, skew roll conveyors or on work cars. For unique situations where a standard system isn't the best fit. For high volume, pass through finishing of small to medium size parts on a continuous belt. For treating metal parts to increase fatigue life and durability. Minimize exfoliation on the interior of Stainless Steel Super 304H and 347H tubes. For manual air blast cleaning. 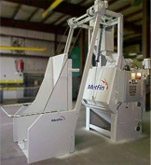 MetFin supplies parts for all of your shot blasting, shot peening and sandblasting equipment. 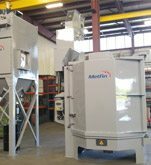 From our heavy duty blast wheels and blast pots to electrical components, you're one call away from the parts you need to keep your plant up and running. Call 800-537-8966 or 860-668-1050 for all your parts needs. 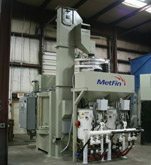 MetFin's partner Propeen Services offers a complete line of abrasive. 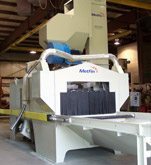 Call us at 800-537-8966 or 860-668-1050 to reach an abrasive specialist.